Peer-to-peer (P2P) lending platforms offer themselves an easy solution to borrow money for short-term requirements. This could be buying consumer electronics, medical emergency, repay credit card dues, home renovation, business loan, travel loan, or other such needs. They find it easier to borrow from P2P lending platforms compare to traditional personal loans from banks and Non-Banking Financial Companies (NBFCs) as process and disbursement of the loan amount is quick at P2P lending platforms compared to applying for a personal loan at a bank. There are mid-age salaried/self-employed individuals lending on P2P platforms to earn attractive returns by taking higher risks compare to financial assets that include mutual funds, equities, etc. This is because, for every borrower, there needs to be someone on the other side willing to lend and earn an interest. The year 2018 shows significant growth in P2P lending, in the month of January overall P2P lending was in the range of Rs 5-6 crore and at the end of December, it increased to Rs 20-25 crore (data sourced from P2P lending firm i2ifunding. They have compiled lending numbers internally from 13 RBI registered P2P players). “The reason for this high growth in lending is, after being regulated by the RBI, receiving the NBFC status and awareness of alternate mode of lending/borrowing among consumers, the P2P platforms have witnessed a high paced growth,” said Raghavendra Pratap Singh, Co-Founder at P2P lending firm i2ifunding. Let us understand P2P lending platforms and if it suits you for lending and borrowing. P2P lending platforms connect borrowers with individual lenders, who come together to meet the borrowers’ loan requirements. Such, borrowings from P2P platforms are unsecured loans and interest rates are higher for borrowers compare to banks and NBFCs. Some of the P2P lending platforms are Faircent, OMLP2P, Lendenclub, Finzy, i2ifunding, Cashkumar, Rupeecircle, Lendbox, etc. The amount for borrowings and tenure of the loan vary for P2P companies. For example, on OMLP2P platform, borrowers can request loan amounts between Rs 25,000 to Rs 10 lakh (in multiples of Rs 5,000). The minimum loan tenure is 3 months and the maximum 36 months. The Reserve Bank of India (RBI) regulates P2P lending platforms to protect the interest of lenders and borrowers. In October 2017, RBI made it mandatory for all P2P companies existing to apply for a licence to continue as a P2P platform. All new entrants had to get a provisional NBFC-P2P licence from RBI to start operations in this space. This has made sure that all operational P2P players are either regulated or are awaiting a licence from the regulator. The P2P players needed regulation by RBI to ensure players follow certain rules in lending and borrowing. In these guidelines, RBI has maintained a cap on lenders and borrowers on the P2P platform. Any lender cannot invest more than Rs 10 lakh across all P2P platforms. Similarly, a borrower cannot borrow more than Rs 10 lakh across P2P platforms. A lender cannot lend more than Rs 50,000 to the same borrower across P2P platforms, at any point in time. How to get started for borrowing and lending? To register as a borrower, you need to register on P2P platform by filling the online form, pay the non-refundable one time registration fees of Rs 100 to Rs 1,000 and upload the scanned copies of documents (personal identity documents such as driving license, PAN card, passport, etc., last 3 to 6 month salary slips if you are a salaried employee, professionals need to submit a copy of their income tax returns, etc.). P2P players may also seek borrower’s social media profile links (LinkedIn, Facebook, Twitter, etc.) to evaluate profile, social behaviour, job stability and other data points. Once registration is completed, P2P risk assessment team verifies your profile and evaluates risk profile. If qualified, the borrowers' profile will be listed with the requirement of loan amount on P2P platform. To get started with lending you need to register on P2P platform with your email address, mobile number (complete a registration process with one-time password) and upload identity card (PAN Card, driving licence, etc.) and bank account statements. These are some of the mandatory requirements of P2P platforms. On P2P platform lenders team will approve your account after verification within one working day. Then you can start lending after logging to your P2P account. Your registration (profile) can be turned down by P2P platform for borrowing and lending in case details provided by you are inadequate or unfit to borrow as per the standards set by them. The key factors lenders must check while registering on P2P lending platforms are the credibility of P2P lending platforms, ease and simplicity of lending on the specific platform and check the defaulter rate on the website. The minimum interest rates charged to borrowers are 10.99 percent per annum to maximum 36 percent per annum. Annual interest rates charged to borrowers vary from case-to-case on P2P platforms, as per the applicants (borrowers) credit profiles and requirements. The interest rates are determined by P2P player by evaluating borrowers profile, credit history, etc. The P2P platforms charge a processing fee of 3 to 5 percent from the borrowers and a percent of the investment amount from the lender after last EMI is received successfully from the borrower. This additional charges may vary with P2P companies. The benefit of P2P lending is that process is simple to commence borrowing and investment using this platform. Lending can be done with an amount as low as Rs 5,000. This P2P lending platforms also provide analysis of borrower’s profiles that helps in easy decision making before lending. The major drawback of lending on P2P platforms is losing the capital in case of default of the borrower. For instance, the default rate is 1.94 percent on RupeeCircle and it will vary on P2P platforms based on stringent internal terms and conditions. To reduce the default risk you must diversify your lending to multiple borrowers. Always check the debt to income ratio of the borrower while selecting. To calculate debt to income ratio, consider your borrower’s total debt in a month and monthly income. For instance, your borrowers existing debt per month is Rs 20,000 and monthly income is Rs 60,000, then debt to income ratio will be 33 percent. Further, it’s important to spread the credit risk across multiple risk grades and tenures to minimise risks. Another peril is sacrificing your privacy by giving P2P player links of your social media profile. i. Losing money due to fraud: There is a possibility to con an online lender by submitting loan applications with fake identities to P2P platforms and create a profile for borrowing. ii. 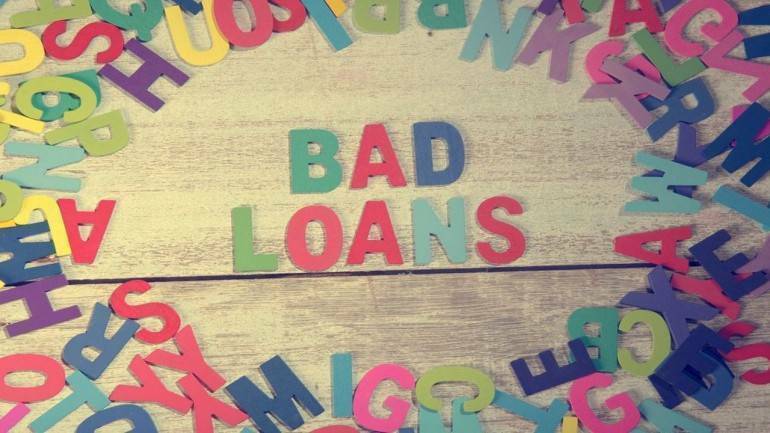 Losing money due to a P2P lending platform going bust: In case one of the P2P lending platform still in process of applying for NBFC-P2P licence from RBI decides to shut the operations, there is a substantial risk that you will not get all of your money back from lending. RBI will crack down on the P2P platforms with legal action to recover lenders money. Some of the P2P platforms not registered with RBI claim guaranteed returns on lending in advertisements and websites. Consumers need to be aware of this false promises by such risky lending business and losing the money. iii. Losing money due to rising bad debts of the borrower listed on P2P platform: There are possibilities of borrower’s credit profile deteriorating after listed on P2P platform and raising money from multiple lenders. The inherent issue with P2P lending platforms is there is easy availability of loans, and most millennials are now borrowing for small needs from these platforms and increasing exposure to unsecured borrowings. Mrin Agrawal Financial Educator & Money Mentor and Founder of Finsafe said, “If you keep on increasing your exposure to such loans, it will have an impact on your credit score. Nowadays, the bigger issue is that millennials are just not thinking of savings and that’s the major social repercussion of easy availability of credit with P2P lending”.